Amid a challenging stretch for Facebook, it’s been perhaps the one, genuine bright spot: messaging. Heads may have turned when Zuckerberg and Co. shelled out $22B for WhatsApp back in 2014. But the platform has since tripled in size and now ranks as the world’s most popular mobile messaging app, with north of 1.5 billion monthly active users. On WhatsApp alone, 55 billion messages are now fired back and forth every day — a half-dozen or so updates daily for every person on the plant. And it’s not all emojis and foodie photos. A growing percentage of users are turning to messaging to make an end-run around that most dreaded of all consumer rituals: calling customer service. It’s no secret that voice calls are in decline: one in four smartphone users don’t make any traditional phone calls at all in a given week. Asking for a digits in a bar? Practically prehistoric, at least among Millennials and Gen Zs. On the customer service front, two-thirds of consumers now identify messaging apps as their preferred way to engage with brands — ranking it above phone, email, live chat and even face-to-face interactions. Among Millennials, a paltry 12% prefer turning to the phone for support. There’s just one problem. Fewer than half of businesses are equipped to connect with customers via messaging apps. In an era when it’s hard to imagine personal life without the convenience of rapid-fire messaging, most companies still require users to dial in. But hope — perhaps — is on the horizon. According to at least one source, last year marked a tipping point. In 2017, 42 percent of customer service interactions took place via digital channels—email, chat, social, text and messaging. In 2018, digital eclipsed voice … and not a moment too soon. The current growth of messaging looks a lot like the initial, explosive growth of social media networks back in the day. The top five messaging platforms — WhatsApp, Facebook Messenger, WeChat, QQ and Skype — now count around 5 billion monthly active users, with new users being added at an exponential clip of a few hundred million every year. The appeal for customer service isn’t that hard to figure out. While phone support can remain an attractive option, outrageous wait times and hard-to-navigate automated phone trees have contributed to an exodus to other channels, especially among younger demographics. Email support, though effective in some contexts, comes with its own set of pitfalls. Templated replies and slow turnarounds mean gratification is rarely guaranteed. A recent survey of 1,000 companies showed that the average email response time clocked in at 12 hours and 10 minutes. Social media changed the rules of the game, at least at first, as customers found speedy resolutions by airing concerns on Twitter and Facebook. But many businesses have been overwhelmed into indifference by the sheer volume of messages. These days, only 20% of questions sent via Twitter and 54% via Facebook ever get a response. Not to mention, not everyone is comfortable sharing their dirty laundry on public channels. And that’s where messaging comes in. Those unassuming little blurbs of text fired back and forth can turn out to be a kind of Holy Grail when it comes to customer service. Messaging offers the immediacy of phone, but because updates are asynchronous, there’s no need to sit around with a receiver pressed to your ear waiting for a human to pick up. Like email, messaging provides a permanent record of interaction that travels from phone to laptop and back seamlessly — but one that’s compressed into a tidy dialogue, rather than spread across a chain of replies and forwards. And, unlike email, our messaging inboxes haven’t yet been infiltrated by spam or unsolicited BOGO offers. In contrast to social media, messaging is a private, one-to-one experience, with rants and sensitive personal info kept well out of the public domain. Plus, pics, videos and audio can all be effortlessly incorporated, a boon for documenting problems or explaining complex issues. But the proof of greatest proof of messaging’s utility is its sheer popularity. A recent survey of 6,000 people in North America, Europe and Asia showed that the average adult has three separate messaging apps on their phone’s home screen and sends an average of three messages per hour. Fed up with 1-800 numbers and on-hold music, nine of 10 consumers are ready to use messaging to communicate with brands. For all the talk of “omnichannel” customer service, however, businesses have been slow to embrace messaging. Only an estimated 20 million businesses — a small fraction of all companies on Facebook — currently use Messenger each month to talk to customers. But those turning to messaging have seen compelling results. KLM became the first airline to expand their service to WhatsApp, allowing customers to receive flight status updates and get 24/7 service in multiple languages. H&M gives fashion advice through Kik, while Domino’s helps customers find coupons and make delivery orders via Facebook Messenger. In fairness, the shift can be jarring, as I saw this first-hand when Hootsuite rolled out a new integration last year with Instagram. Our users loved the new feature, but it also led to a record number of support requests via social, chat, email and other channels—75,000 in one quarter alone. We were swamped with questions on functionality, set up and how-tos for months. Keeping up with this messaging revolution requires rethinking how we do customer service, from the ground up. It’s about a willingness to meet customers on their own turf, which increasingly means the growing array of messaging apps out there. It’s also a question of scale. When customers have more ways to reach out than ever before—and can do so at a moment’s notice—how do you respond in a way that’s both meaningful and timely. Messaging bots are part of the equation. I know — bots have gotten off to a bumpy start. Facebook’s first-gen bots reportedly failed to understand users 70 percent of the time. And 8 of 10 consumers still prefer to interact with a real person. But that’s largely because too many companies are trying to “build a human” in digital code—pushing today’s tech past its limits in the name of cost-cutting. Instead, the focus for now is best narrowed to addressing the most common customer queries with bots, the ones that come up time and time again. Close to home, I know that the same 20 questions—on billing, setup, etc.—account for 80% of our customer inquiries. Handling this simple, repetitive stuff is what bots were made for, freeing up human capital for more complex questions and needs. But that’s only part of the story. While bots represent the frontline in this brave new era of messenger-based customer service, equally critical is how efficiently—and intelligently—customers are escalated to human agents. In fact, this is what makes or breaks the whole experience. Makeup company Sephora offers a model for how to do this right, deploying an army of chatbots to help with tutorials and product suggestions but having real humans on call when a customer requires more help. AI is proving just as critical behind the scenes. As messaging volume swells, smart tools are increasingly needed to automatically tag and route messages—whether they come in via social media, messaging apps or another channel, for human follow up. This ensures the right info quickly gets to the right person inside a company, rather than being stuck in a bottleneck. 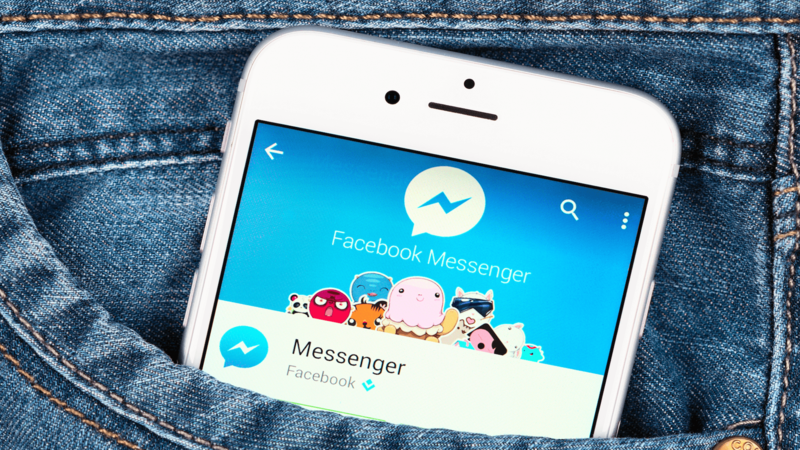 The return for companies who invest in messaging? Early research shows customer satisfaction rates are generally 25% higher for messaging than for calling. Employees can handle multiple chats at once, versus a single call, and also report less frustration and experience less turnover than in traditional call centers. Plus, the potential of messaging as a proactive sales and marketing tool, rather than just a reactive support platform, is just starting to be explored. What’s clear, above all, is that messaging isn’t going anywhere. WhatsApp alone is adding a million active users a day at present growth rates. And that’s just one of around a dozen major messaging platforms. By 2020, Mark Zuckerberg is hoping to unite all the apps in his messaging kingdom (and their 2.6 billion users), enabling seamless cross-platform pinging across Instagram, Facebook and WhatsApp. Privacy concerns have been raised, but I think some of the critics are missing a huge upside. Right now, messaging is a Wild West — split among lots of different apps — making it hard for companies to monitor and respond to customer requests. But a centralized messaging platform might just change that, allowing for more efficient customer service via messaging. It’s a solution that can’t get here fast enough.